Lately I've been feeling really behind. I can do nothing fast enough. I can't complete a thing and my "To-Do List" just keeps getting longer. There's no relief in sight...my family's calender is booked up until the second week of May. I totaled up all my stats from couponing from March 21 til now. I'm pretty amazed and it's going to get even better once I'm "stocked up" on things and don't go as frequently. I've saved $333.15!!!! That's 47% savings on ALL shopping including things I didn't have coupons for like formula and such. Go ahead and laugh coupon haters...I'll be over here rolling in my money! I finally made baby food yesterday. Apparently Ethan hates zucchini. Good thing my recipe only made enough for the next two weeks......ugh. Wish me luck! (And yeah, the video is sideways due to taking it on the phone...oh well. Why is that everytime I do laundry I wait until the next time I need to do it to fold and put away the previous load???????? I've banned Lola from her favorite room upstairs. It looks like we are back to square one with her and potty training. I think she's doing things out of spite! I can't count the number of pee spots upstairs. I FINALLY caught her in the act a couple of times and that was it. It's now mandatory that she stays downstairs with me! Crate training will restart next week if anything happens down here. My backdoor is constantly open...there's no reason she can't go outside. End of rant. I've gone to the store a million times but I keep forgetting important things like stamps for thank you notes, cleaning solution for the carpet cleaner vac, and ice cube trays for baby food? This is one of the many reasons I'm so behind! I feel like all I do is clean. If I get one room thouroughly cleaned another one has magically gotten dirty. It's a vicious cycle! I haven't watered (or seen) my garden this week, my coupon binder is in disarray because I haven't gone to get more sheet protectors, my dining room chairs are still not done, and nothing on my computer has been backed up in over month and I'm running out of space due to my MILLIONS of pictures. Shew, I feel better now that all that's out. Feel free to rant to me...I've obviously done my share! Oh Girl!!! Let it OUT!!! Lol, I totally get the laundry thing. And the dog thing. And the coupon book in disaray thing. Hoping that venting helped!! Oh that Lola! 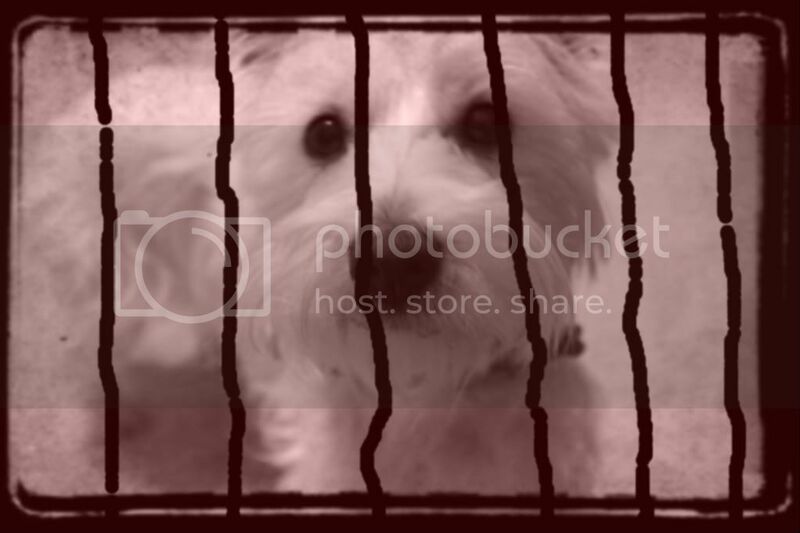 Doggie jail can be a rough place! :) Hope you feel better now that you have vented. I'll let you know how our veggies/fruit goes this weekend! I'm scared to even start making a to do list! I wanted to come visit your blog and I'm glad I did! I can relate to so many of your rants! The laundry thing? So me! Why do we do that? And the never ending cleaning...same here.